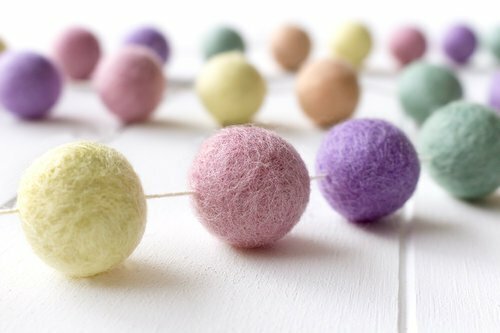 Felt balls can be made into bright and beautiful garlands. 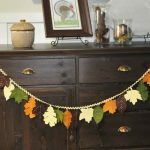 The can be hung up against the wall, ceiling or mantle and further accentuated with other decorations like stockings and wreaths for Christmas. 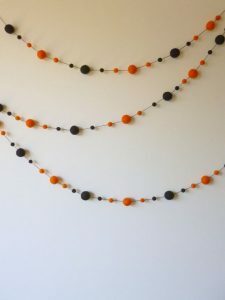 You can also make them for fall, Halloween and events like birthdays, weddings, etc. The supplies for this garland include felt balls, embroidery floss, scissors, a large needle and nails or command hooks. 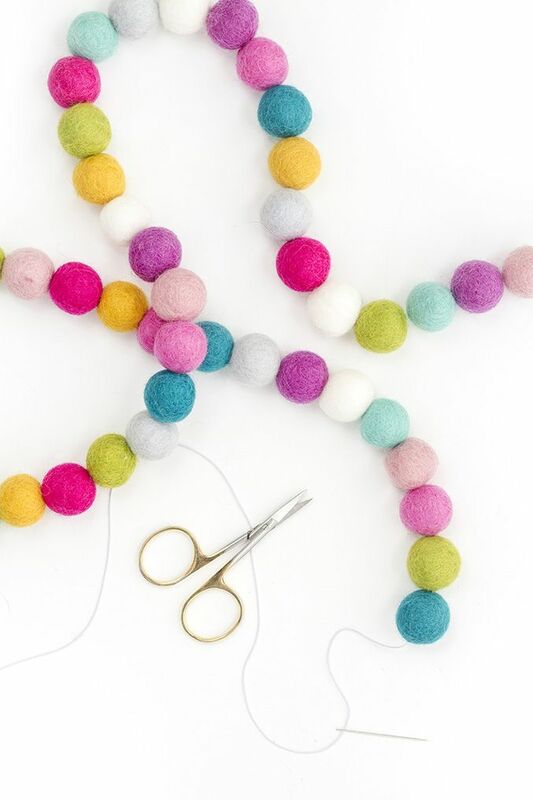 It is good to decide on a color pattern before starting on the project. 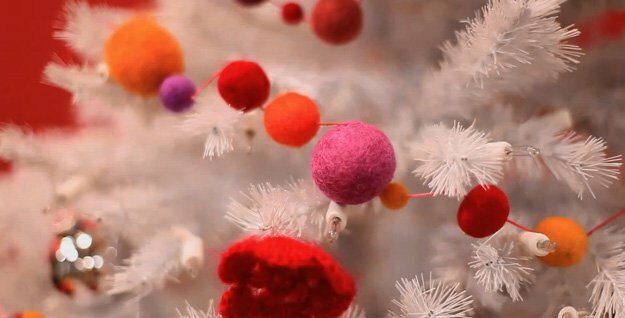 A felted garland would be great for decorating the house for Christmas. 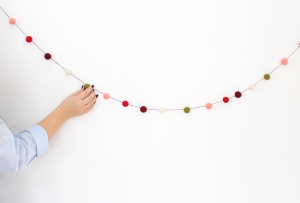 You can pair it with Christmas stockings for a cute look. 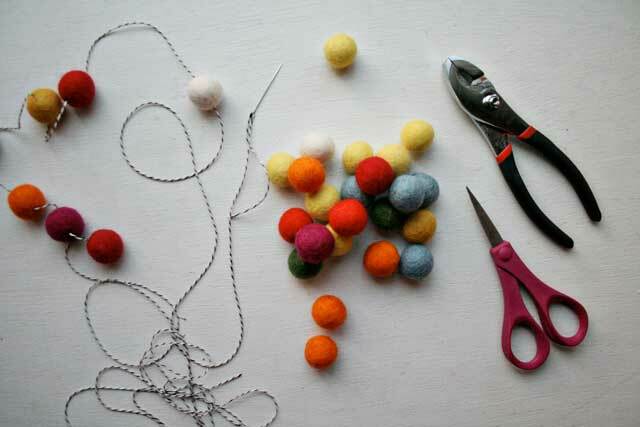 This project requires about 100 felt balls that can be purchased or made on your own. 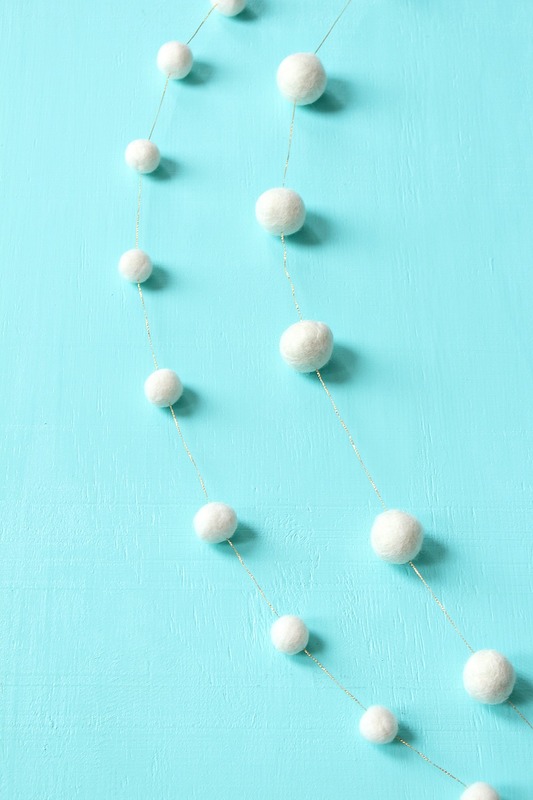 Start by stringing a needle with cord and passing it through a ball. 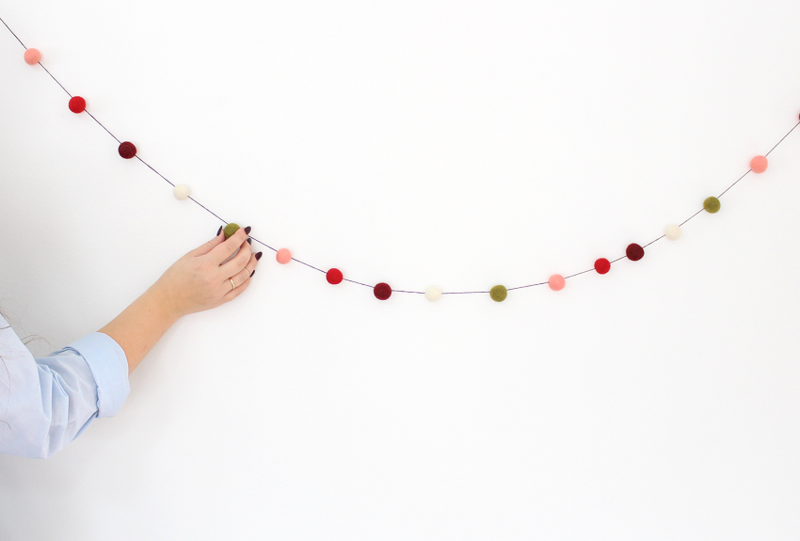 Follow by passing it through the rest of the balls until you get the full garland. 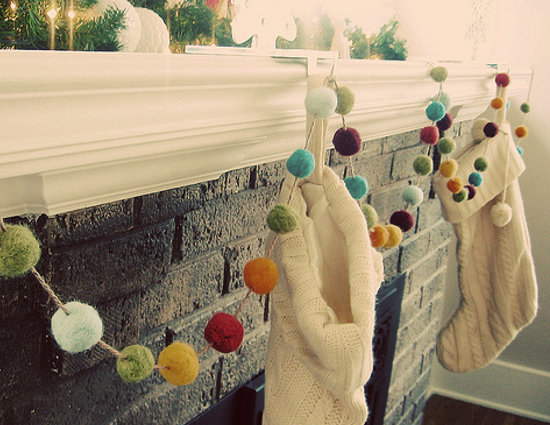 A white felt ball garland pops out beautifully in a dark grey fireplace. 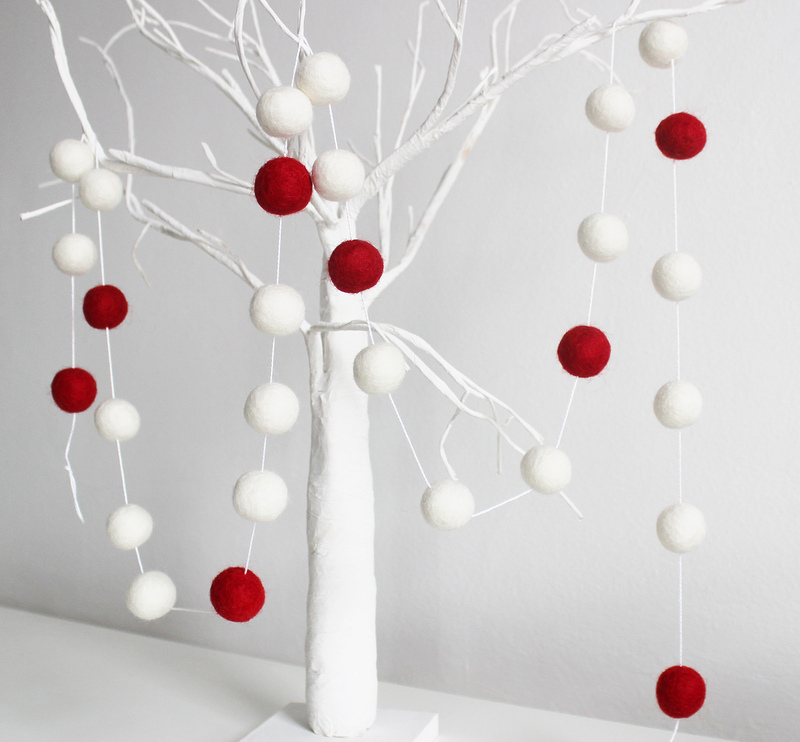 If you want to give a snowy theme to your Christmas decorations, you could go with this one. If you don’t want the all-white look, you can put red balls in between the white ones for Christmas. 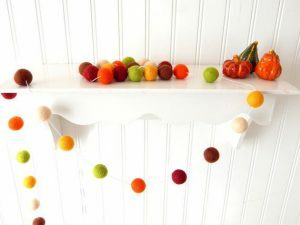 You can use the above-linked tutorial to make a felt ball garland that is themed on fall. 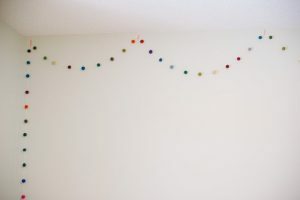 You would require white, orange, brown and green balls for your craft. 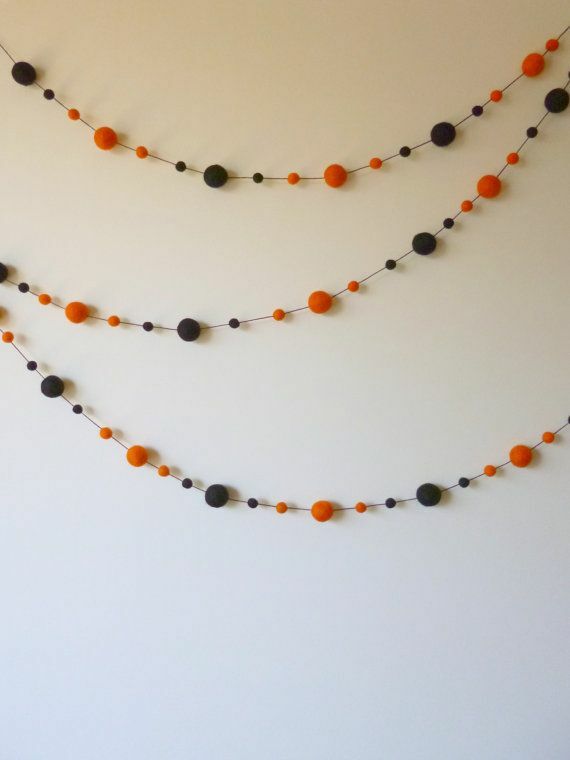 Similarly, a Halloween garland would require orange and black felt balls. 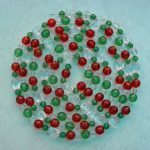 You can mix small and large balls for a unique effect. 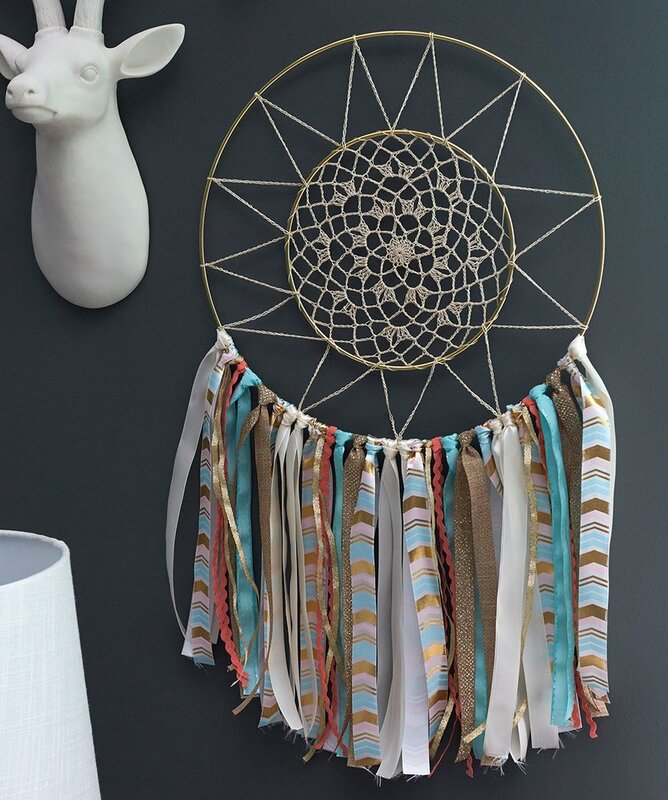 We are sure that you are now bubbling with decoration ideas for the next party. 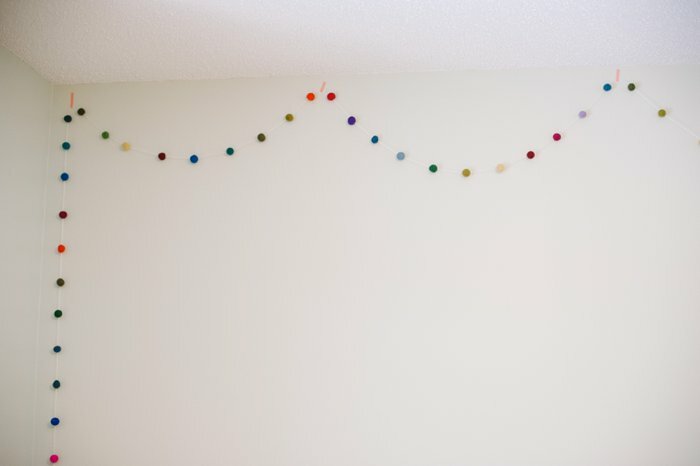 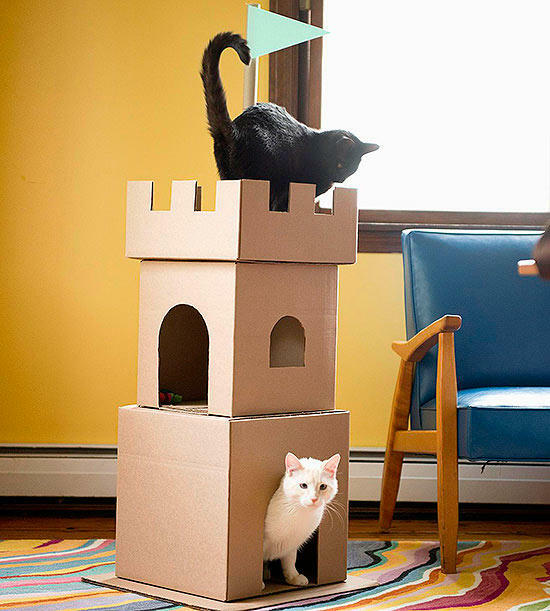 They are pretty easy to make and are excellent options for filling up boring blank walls of your home. Another good thing about them is that once you know their making procedure, you can customize them for the different seasons and occasions just by changing the colors of the felt balls.